The first time I visited the land that was to become our garden, I remember walking past a tall pine tree with a wild grape clambering up its side. There were red grapes on the vine, ready to eat, and we picked some. It seemed like such a lovely, generous thing to be presented with. I remember the heat of the day, the chanting cicadas, the sweet grapes. We have planted a number of grape vines since we moved to the garden, mostly vitis vinifera (the variety of wine grapes, hence its name) but also one vitis labrusca (ours is a seedless Concorde grape). 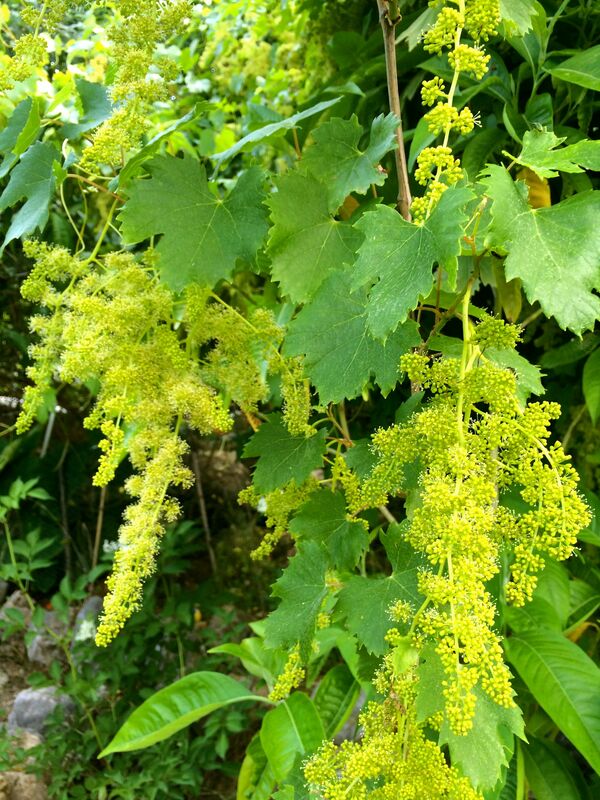 That one, also known as fox grape (which will make sense to anyone whose botanical Latin is ticking along nicely), was not very happy for the first few years, which is not so surprising considering that it is a native of the Eastern United States. It seems to be coming into its own this year, though, which is good news for me because those grapes are my favorites, since I did some growing up in their native land. In addition to the ones that we have planted, there are wild grapes springing up all over the place, and as our watering routines have improved, they seem to have proliferated further. I have mentioned before that Ali is very interested in the scents of our plants, and we love to sit on the porch and breathe it all in. Recently, we noticed a new smell, a slightly sweet and yet also sharp scent that we hadn’t noticed before, that was distinct from the honeysuckle, the mock orange, and the jasmine that were also in bloom. Lying in the garden bathtub, staring up into the tangle of wild and cultivated grapes overhead, Ali put his finger on it — we were smelling the grape flowers. I’d never given much thought to what a grape flower looked like, let alone that it might be scented. At around the same time, I noticed that a lot of people were selling grape leaves in the market and this made me want to make stuffed grape leaves. There are two kinds of stuffed grape leaves that I am familiar with. One is the olive oil dish, grape vines stuffed with rice, currants and pine nuts. These are eaten cold at family gatherings, most notably at new year when my mother in law will put a button in one and a coin in another – eating one of these ensures good fortune in the new year. Every year I stuff my face with grape leaves and come up empty, but they are very tasty, so it is hard to have sore feelings about it. 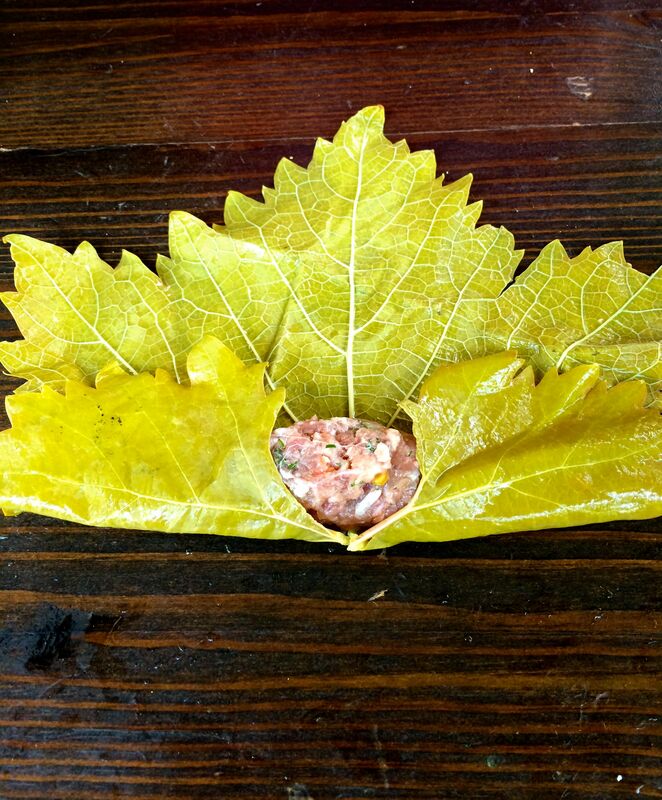 The other kind of stuffed grape leaf is filled with meat and eaten hot, with garlic yogurt. That’s the one I wanted to make. 3. Add this to the meat, along with the salt, pepper and herbs, throw in the rice and oil and knead it until it is all mixed in. You may notice that these are not the elegant, long-fingered shape of the rice dolma. This is partly down to my beginner status, I expect, but I have usually encountered etli dolma as a more substantial, thumb-like parcel. It’s up to you how you fold yours, of course. 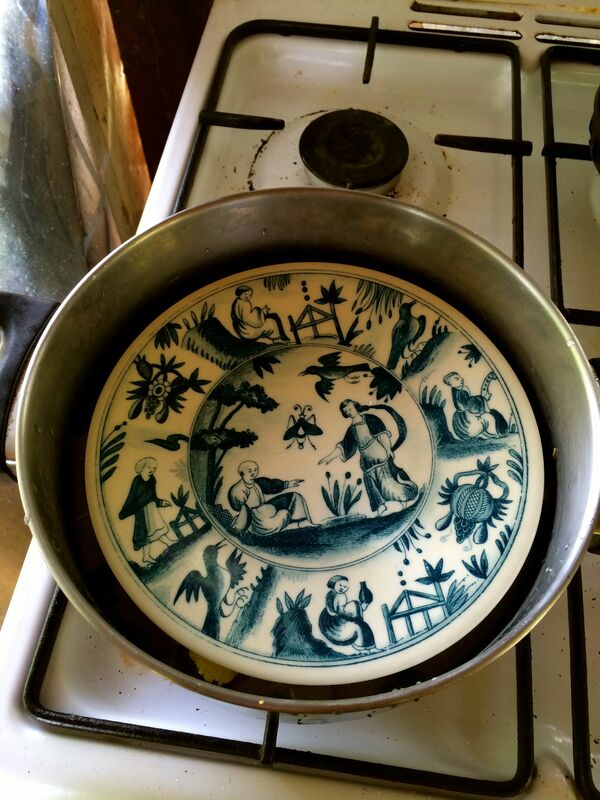 Since you’ve gone to all the trouble of finding a plate that will actually sit snugly inside your pot, be a good fellow and weigh that plate down or you will end up with floating dolma buoying the plate in a most dismaying manner. I used my meat pounder, but a big tin of tomatoes or beans would also do the trick. 6. 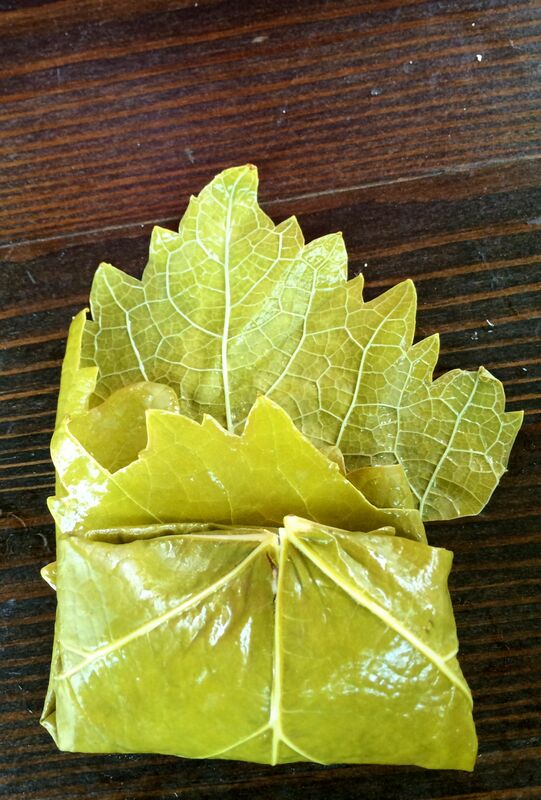 Cover the pot and cook the dolma until the grape leaves soften. In my limited experience, this takes no less than 30 minutes. Only your mouth can tell you if they are ready. It is an arduous but necessary task to sample the dolma after 30 minutes and then again in 5 to 10 minute intervals until you are happy with the results. If you like, serve them with garlic yogurt (which is just garlic pressed into a bowl of yogurt with a pinch of salt thrown in for good measure – a wonderful, instant sauce) or plain yogurt. 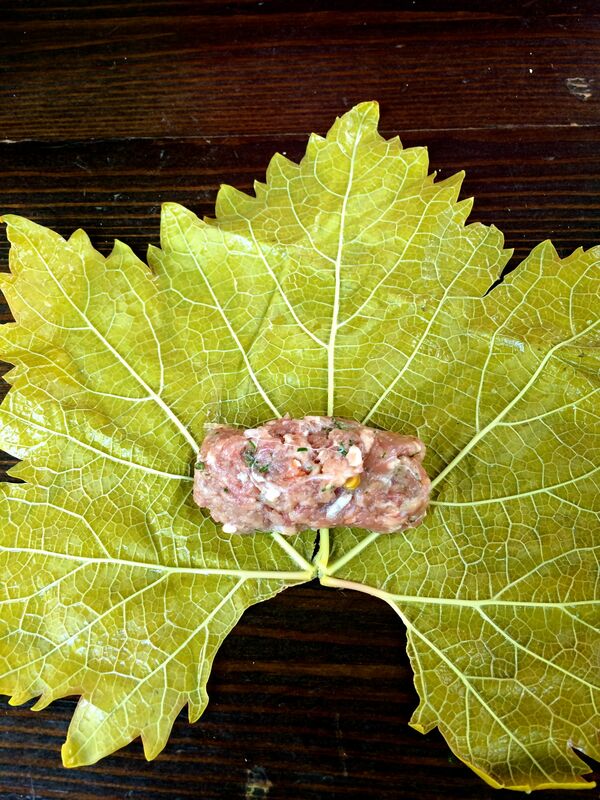 I love this dish because the leaves are slightly sour and tannic, and I have read that grape leaves are very nutritious. 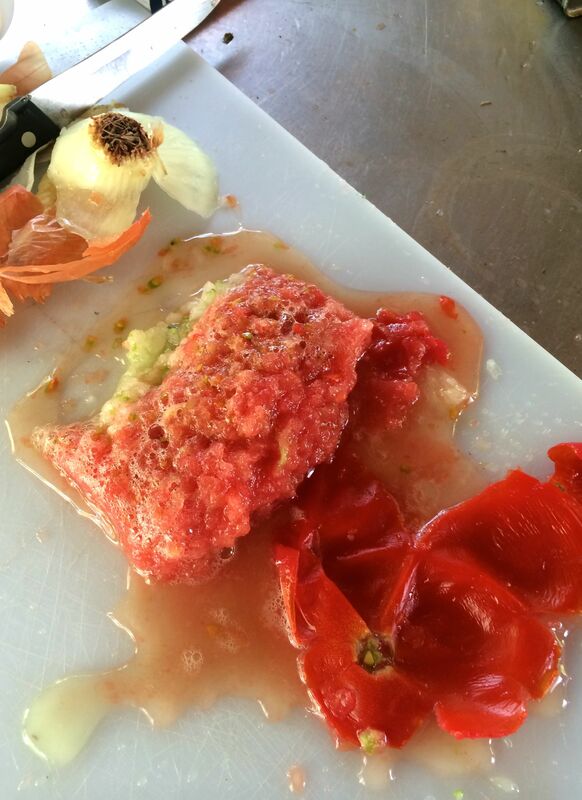 Plus, it gives us something to eat off those vines until the grapes ripen. Then we’ll have other jobs to do! 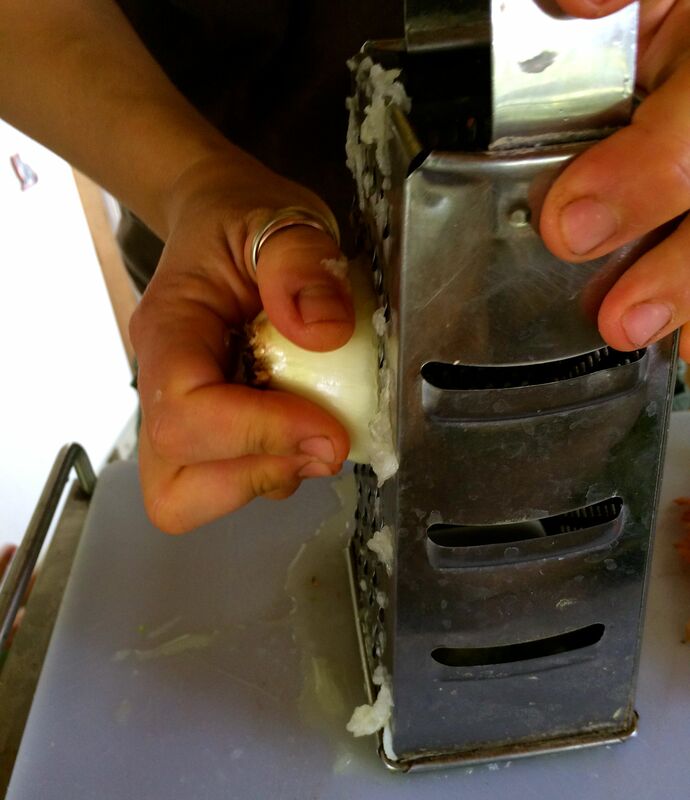 Lovely blog with such precise /pictorial instructions it made my mouth water. And perfect bedtime reading…I will dream of the Concords to come! 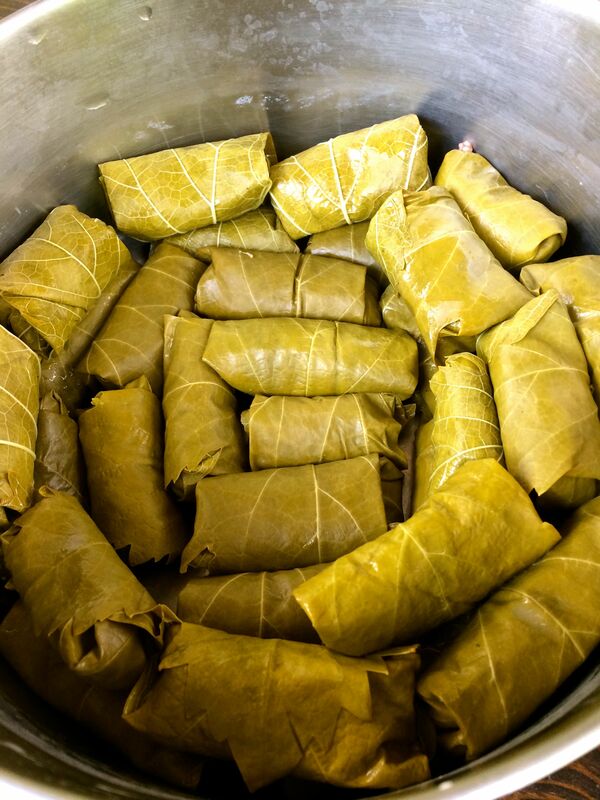 I recently learnt the art of dolma making as we were required to make about 300 of them for a school excursion. I crown myself the Dolma Queen (although ours only had a very small amount of lamb mince). I must give these a try someday as I have grapes growing at the edge of our orchard. I think you did a fine job of folding…a nice tutorial, thank you. I use my grape leaves when I make pickled cucumbers (cornichon) something about the leaves is meant to help keep the cucs nice and crunchy. 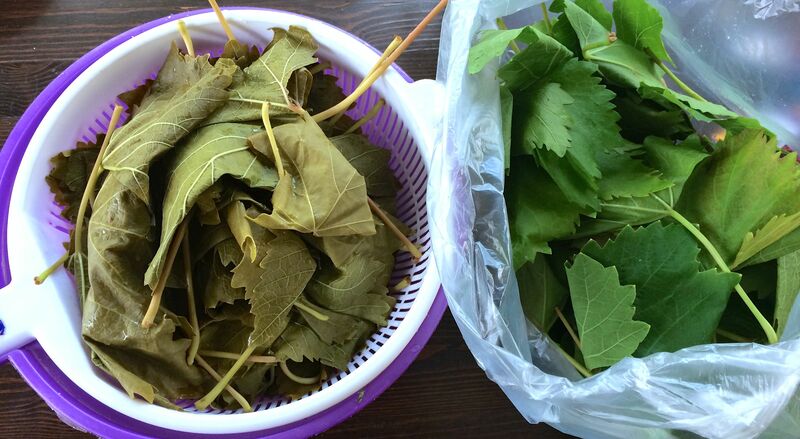 My aunt and grandmother were making rice-stuffed grape leaves just this week! They taste delicious. The leaves have to get a little bigger before they’re the best of the season, but they’re definitely tasty regardless. I would love to smell your garden someday! It must be really something. 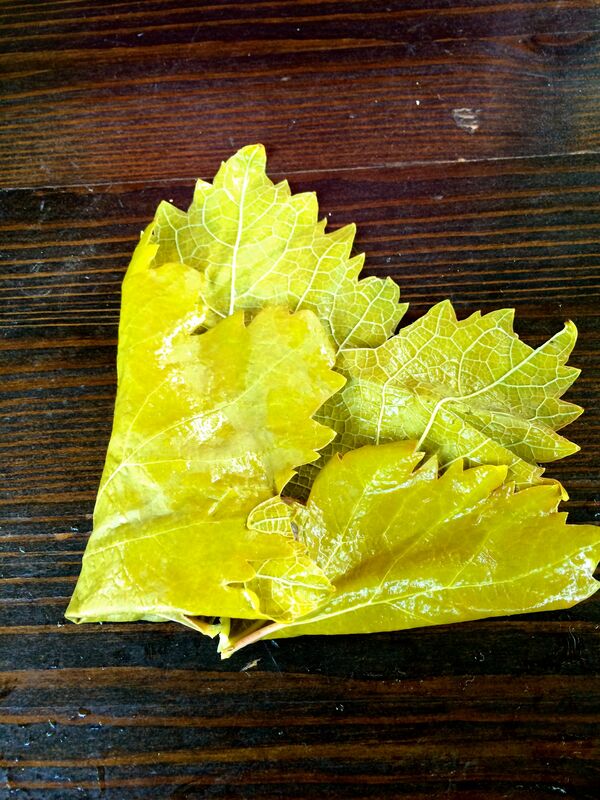 And those grape leaves look incredible. I have never tried making them before and I think I should give it a try. I don’t think I’ve ever seen them fresh though. Only canned? I think they are pickled or salted or something but if you soak them before you use them they taste fine. And I think they are good for you.